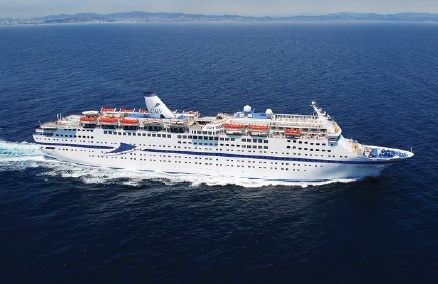 Cruise & Maritime Voyages (CMV), is pleased to announce the addition of Grand Holiday from Costa Crociere to the CMV fleet, commencing ex-UK operations under the CMV livery in spring 2015. She will be re-named Magellan and at 46,052 GT will carry 1250 passengers, becoming the proud new flagship of the CMV ocean fleet operating as adult only (16 years plus) alongside Marco Polo (800pax), Astor (600pax) and Azores (550pax). 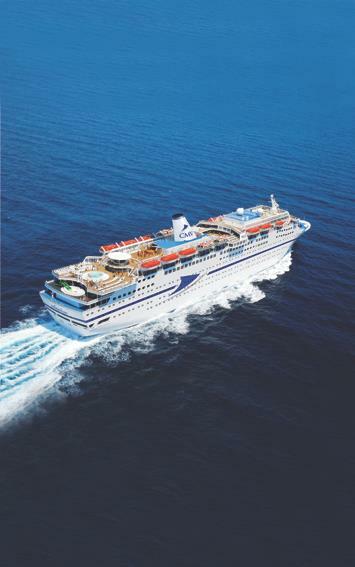 A new 2015 special launch edition brochure will be released on Tuesday 4th November 2014 detailing Magellan’s inaugural CMV summer 2015 and winter 2015-16 programme. Special introductory fares with savings of up to 50% plus a 25% single supplement deal for the solos market will be on offer to launch the programme. The maiden CMV voyage will be a 12 night cruise to Iceland and the Faroes for the Solar Eclipse and Northern Lights sailing from London Tilbury on Sunday 15th March 2015. She will also be sailing from Newcastle Upon- Tyne. Other programme changes include an Azores ex-Liverpool summer season and an 11 night Autumn Mediterranean fly cruise series plus a second Marco Polo 34 night Autumn Commemorative voyage to Canada. Magellan will be cruising to the Amazon in winter 2016 while Marco Polo will embark on a new 54 night voyage to Brazil, Argentina & Chile and Tierra del Fuego. At 46,052 GT she will carry 1250 passengers accommodated in 726 cabins spanning nine passenger decks serviced by eight lifts. Her wide corridors and stairways and expansive deck areas with wood type decking in many areas exude a real feeling of spaciousness with a wide range of comfortable well appointed lounges and panoramic seating and observation areas ideally suited to our scenic cruise programme. Combining expansive, comfortable surroundings and friendly service with stylish entertainment and delicious cuisine, Magellan is the perfect choice for those looking for a greater range of on board facilities. However, she still retains a feel of intimacy and personal attention when compared with the ‘mega’ resort style ships built today. No climbing walls or ice-skating rinks and no kids! Magellan has two beautifully appointed dining rooms; the Waldorf and Kensington Restaurants and the more informal bistro for casual dining. The magnificent tiered main show lounge spans the height of two decks and affords wonderful viewing opportunities complemented by a host of superb lounge bars and public areas.